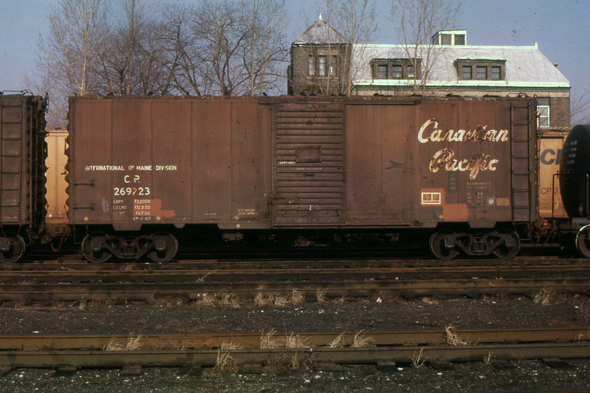 CP International of Maine boxcar in CP's London, Ontario yard, November 1984, Dave Chalmer photo. This car has seen better days but it is kind of a neat car to model in a weathered and patched state. I may give this a try with one of my models. Please do post more. Dave has also passed some slides along to me. So many scenes we thought were 'just everyday' back then but are really interesting now. Dave is a prolific photographer!